FEEDING YOUR FAMILY SINCE 1939! Hung Fong is a family owned restaurant that strives to provide our customers with the best quality, great tasting traditional Chinese food and service at reasonable prices. Founded in 1939, Hung Fong is the oldest Chinese restaurant in Texas and has served multiple generations in the San Antonio area for nearly 80 years. At Hung Fong, we want you to have a wonderful dining experience in a comfortable relaxed atmosphere every time. 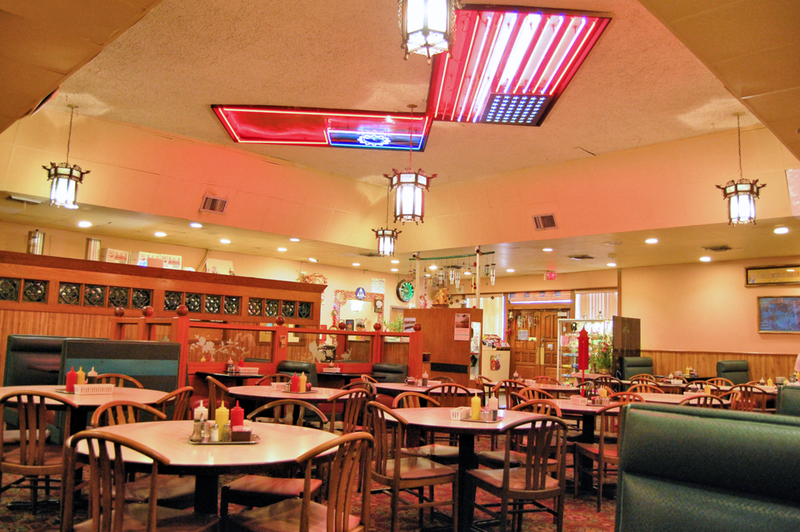 Remember, you are sharing a piece of history with your friends and family every time you dine with us. Our dining room ceiling is décored with two neon flags that serves as a reminder of how U.S aided China to bring harmony during World War 2. The flags were constructed nearly 20 years prior to Alaska and Hawaii entering the Union resulting in only 48 stars on our American flag. With extensive knowledge in traditional Chinese preparation, Hung Fong serves a unique and complex process style of cooking with variations of poaching, braising, deep-fry and stir-fry cooking techniques. Fresh ingredients and sauces that are prepared on premise provide a delicious flavor and appearance in all our dishes. Hung Fong’s long lasting and continued success led to the opening of our sister restaurant, Ding How, in 1983. Ding How is known as the “restaurant on stilts” that serves another area in San Antonio. Now a San Antonio tradition, Hung Fong has been able to delight not only the native San Antonians who have made it a staple in the San Antonio dining scene, but also has become a destination to many travelers seeking traditional Chinese cuisine. Hung Fong can accomodate large group dinners of 20 – 50 seated in our private dining room, which runs adjacent to the dining room along the east side of the restaurant. The room is a completely private space and provides a quieter and more intimate environment for a special event, while still maintaining Hung Fong's unique energy and aesthetic. All large group dinners and special events at Hung Fong will feature our Traditional Chinese Cuisine and personal attention of the Chefs. For reservations please call (210) 822 -9211.